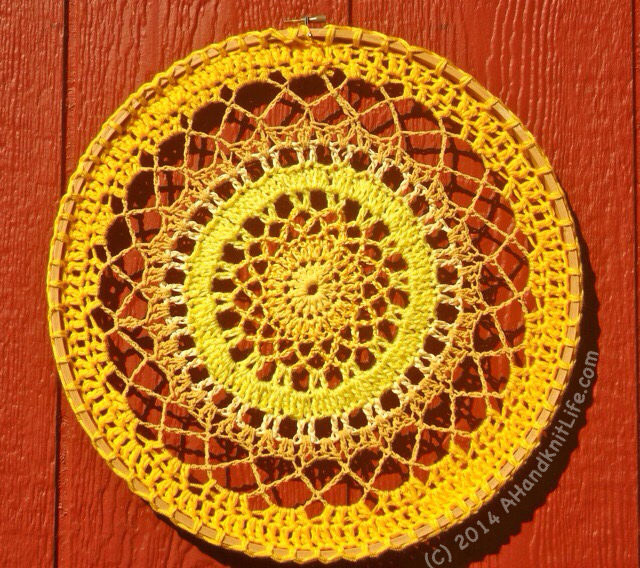 Fiber artist, Lise Solvang, of A Hand Knit Life, crocheted this lovely golden yellow mandala doily onto a wooden embroidery hoop. I appreciate the delicateness of the piece and the various symmetrical patterns around the circle. Long before I realized my passion for mandalas, I crocheted doilies…lots and lots of doilies. I remember as a kid watching my grandmother do it…and she made them without using any patterns! She amazed me. She inspired me. 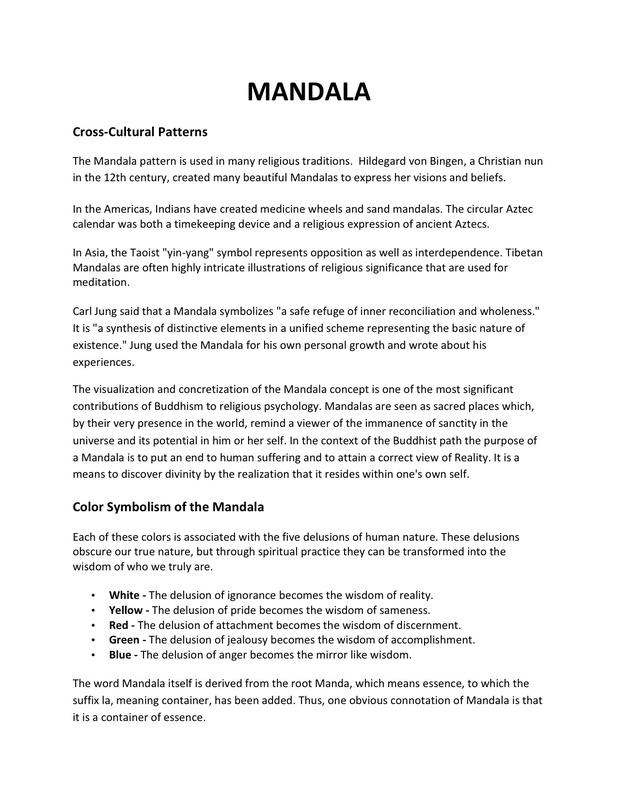 On her web site, Lise, purposely calls her doilies mandalas and describes what they are and the meanings of the colors used. View more of her beautiful mandalas on her blog post about her crocheted mandalas. We think it takes a lot to be creative, a lot of supplies, a lot of time, a lot of skill. For some of us it may be our fear in action. It becomes a convenient excuse to forego trying anything creative. Lise’s mandala demonstrates creative simplicity: while the patterns can be complex at times, all it really takes is a hook, some yarn and learning some basic stitches to be able to follow a pattern. When in doubt, Keep It Simple, Sweetheart!